It was one of the hardest things I have ever done. Powerful (if a one-word answer is acceptable). I saw so many examples of how God resolved a situation within minutes (sometimes seconds) of it needing resolved. He used taxis, hugs, scripture, a hard-to-find cable to connect a laptop to a projector, a van that needed to be push-started on a short hill, and also literally cleared rain clouds multiple times. I painted many fingernails and then let the girls paint mine. They seemed just like teenagers I know in the US, except that I couldn’t speak their language. I played with some babies who were taken away from their homes. We were warned that they would cry when we put them down, but none of them did. Are they used to strange people playing with them and then leaving or was it simply nap time? We gave each kid at the Center a diploma and a medal (like a race medal) which said one of five words (beloved, precious, chosen, overcomer, courageous). I was privileged to put the medal around the neck of a few kids and the look of pride on their faces was … incredible, overwhelming, none of those words are quite right, but you get the idea. The kids slept with and wore their medals to school the next day. The hugs I gave and received were different. I felt their desperate, melting spirits in my arms. Some may say it was a sham, that this is what visitors have taught them to do. But that wasn’t my impression. When we left the Center on the last night, they pleaded with us not to leave. We sat in the van for a few minutes, waiting for it to start. Some watched the kids and some couldn’t. We were all in tears. Then they formed human road blocks and jumped on the bumpers as we drove away. My tears are starting to flow just thinking about this. We were all sick at some point, which is sort of expected when going to a foreign country where you can’t drink the water, the food may or may not be safe, and things aren’t as clean as our systems are used to. It was another lesson that I am not invincible. 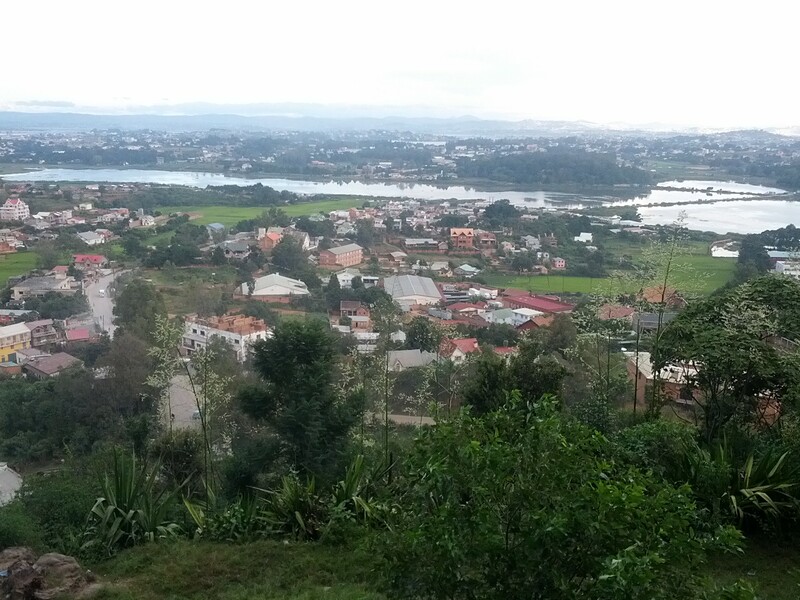 I rode a Malagasy bus one day and it was quite the experience. The “bus” was the structure of a 15-passenger van, but holds much more than that here in Madagascar! I would guess there were 20-25 people on the bus. There were many times that I didn’t know the language of someone I was communicating with. This was really difficult at times, but often it wasn’t a big deal. 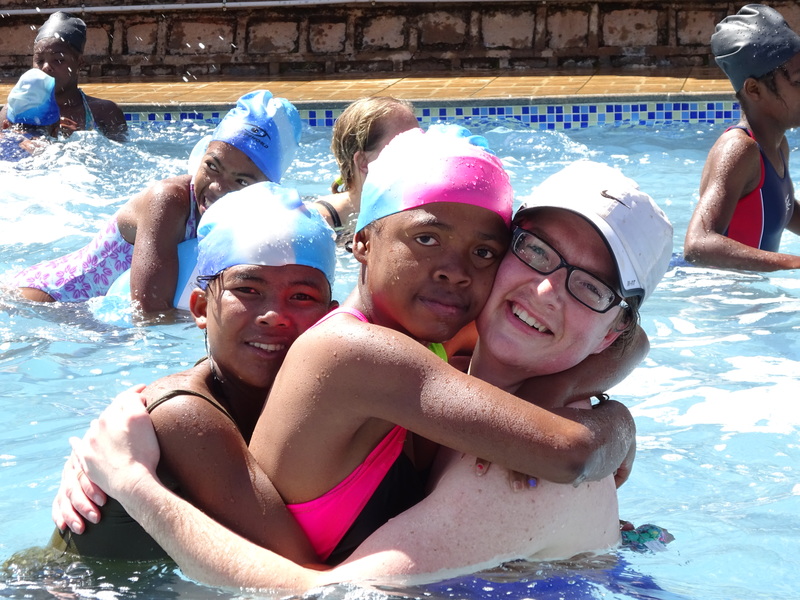 I didn’t need to know Malagasy or French to teach kids to swim, play Uno, teach Jenga, or give/receive hugs. I didn’t even need to know it for worshipping, though it would have been helpful. 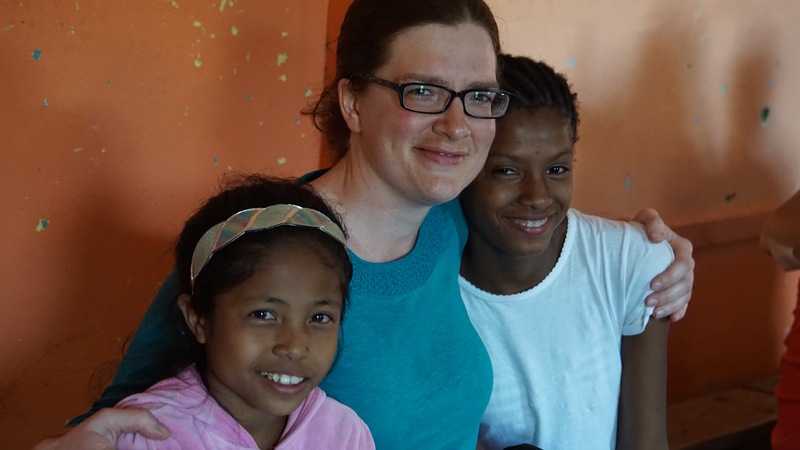 It was incredible to listen to the Malagasy people worship at the school where we stayed. It always helps to start a workday with some corporate worship time. Thank you Jen. I can see how truly happy you are. The smile in your pictures show that you are radiating God’s love. I understand that words cannot describe, but I “get” it. As soon as I saw the photo of you hugging two kids, I knew that your experience was far beyond words!! We both knew that this experience would be big, but it does my heart so good to your joy! I think we both knew it would be an emotional experience too. Thank you for updating. You are my inspiration to be a better Christian. Keep up the good work. Sending love from Nebraska! Tears filled my eyes as I read this. And I agree with comment above, you are just radiating God’s love in these pictures! Amazing! Jen, I can understand the tears….we hosted the African Children’s Choir at McCool one summer and several of the boys stayed with us for two days. It was so hard to let them go, we had tears too. Thank you for being so open to God’s leading. What a difference you are making in the lives of so many. You are touching people all over the world through your service and through your postings. Thank you! God was doing so much in and through us that we couldn’t help but radiate around the kids! Hugs to you too, Diane!! Welcome to my blog! I am serving with Mercy Ships by living and working on the Africa Mercy hospital ship currently docked at Tamatave, Madagascar! If you are interested in supporting me financially on this journey, go to http://bit.ly/supportjen for more information. Although I am serving with Mercy Ships, everything communicated here strictly reflects my personal opinions and is neither reviewed nor endorsed by Mercy Ships. Opinions, conclusions and other information expressed here do not necessarily reflect the views of Mercy Ships.